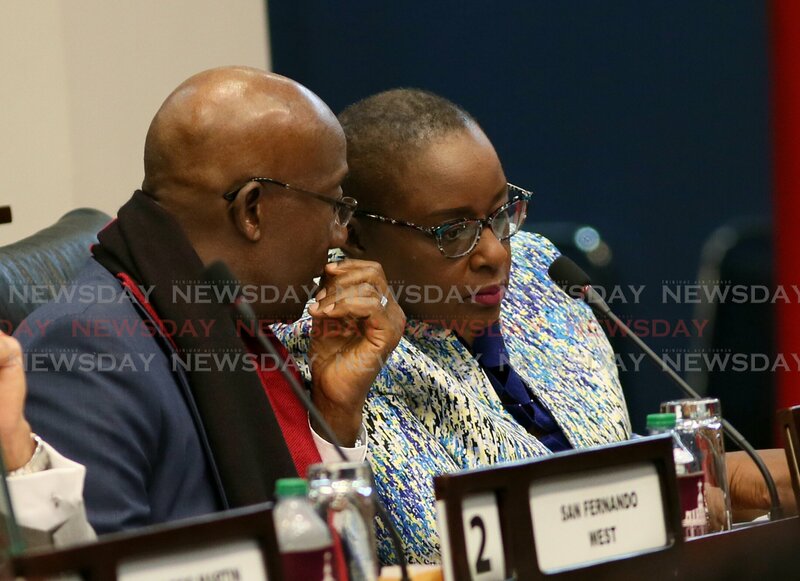 Prime Minster Dr Keith Rowley speaks to Planning Minister Camille Robinson-Regis in Parliament during the 2019 budget presentation. Photo by Azlan Mohammed. SPEND big money to earn big money, was the Prime Minister’s message at a post-budget news briefing yesterday to justify the $3 billion price-tag of the proposed La Brea Dry Dock. Asked by Newsday if the sum was excessive, Dr Rowley said it was an investment that was dwarfed by the $15 billion taken from the National Gas Company (NGC) by the previous regime with nothing to show. He said the dock will create thousands of jobs, and the dock will earn revenue from visiting ships that will pay in US dollars. He said many hauler ships are Chinese, so if the Chinese Government has a 30 per cent stake in the La Brea Dry Dock they will also have a vested interest in sending such vessels to TT for servicing. “That’s why we are different to Sri Lanka,” Rowley said. Reply to "Rowley hails US$500M dry-dock: We are different from Sri Lanka"